At 5000 feet on the north side of the Range Creek Mountains, it still feels like spring is long ways away. It is lightly snowing out as I write this and more snow is in the forecast. The first of the Daffodils have bloomed though and I am grateful for their sunny optimism. We had violet flowers to adorn our salad too. This morning’s dog walk was filled with the song of robins and red wing blackbirds. The bluebirds and meadowlarks are back too! Everywhere I walked I saw huge, velvety mullein leaves pushing out of the ground. It has been a long cold and flu season for this community and my daughter has yet another cold. This plant is prolific around here, and perhaps because of that, a plant that I hadn’t given much thought to, other than being great for ear troubles. But this morning, mullein was calling to me to make a tea out of those new leaves. 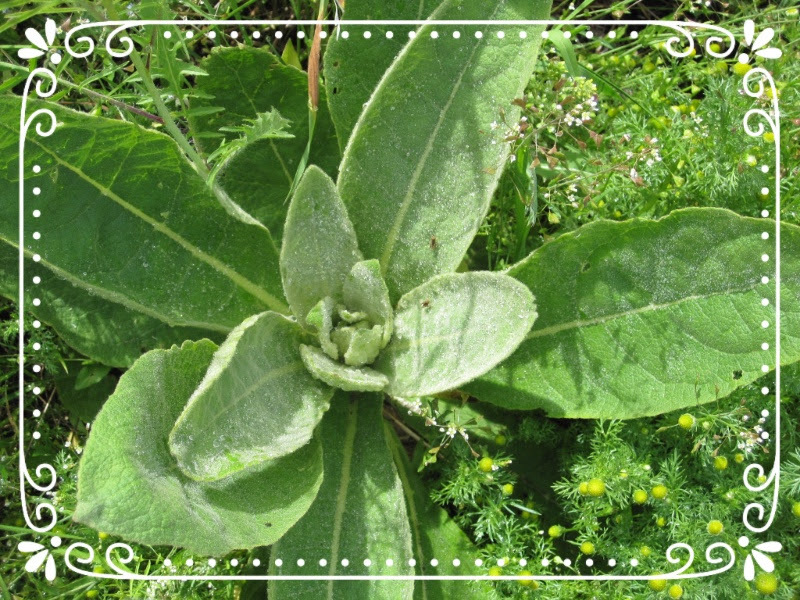 Mullein is an excellent expectorant and a respiratory ally. Already my daughter’s cough has been more productive and the wheezing in her lungs has subsided. How timely that mullein would appear at this time of year when I needed her most. I also made another batch of elderberry elixir with mullein leaf and yarrow. Look for this delicious, immune building elixir below. Ah, mullein in the height of summer! I love the hairy green leaves, the pineapple weed, and the promise of spring it evokes! Heat the herbs and water, covered, over low heat and simmer for about 30 minutes. Leave the lid on and let cool. Smash the berries and herbs with a potato masher or back of a spoon. Strain off plant material and feed to the chickens. You should have about 3 cups of liquid left. Add 2 c honey. I had some elecampane honey and a little oregano infused honey that I used for this. Any raw honey will do. You can learn how to make your own infused honey . Stir until honey is dissolved. Add 1 c of your favorite cordial. I used goji berry and ginger this time. Or use brandy or rum. Pour into dark bottles and store in the refrigerator. I find this elixir almost impossible to resist and my daughter loves it too. Take it daily to keep the viruses away or use as a cough syrup. tagged with Elixirs, Herbs, Medicinal Herbs, Welcome Spring! You will absolutely love this. Thank You! Cool I should be able to get the elderberries at a nearby market. I am going to look for them when I go into town.